Using everything that flies (balloon, helicopter, light airplane...) aerial surveys of the ITER site have been organized on a regular basis since 2007. Each technique has offered its own advantages in terms of altitude, manoeuvrability and flexibility. 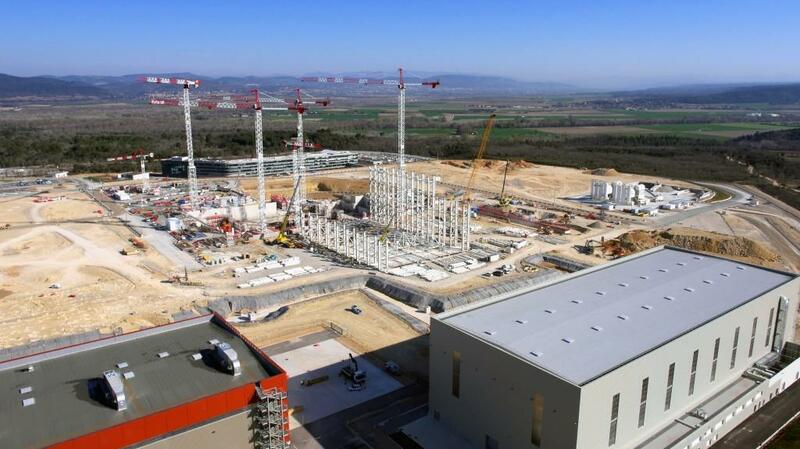 Early on Wednesday 8 April, a new type of craft was employed—a drone, equipped with a light camera, was flown by remote control over the main work areas of the ITER platform. Hovering at an altitude of approximately 60 metres, the small buzzing machine took the pictures that we present in the slideshow below, and recorded a video that can be viewed here. Work on the Assembly Building's steel skeleton (centre) began in September 2014. As the pillars rise on the two sides of the basemat, workers on the ground have begun assembling the roof structure for the 60-metre building. Once assembled, the roof structure of the Assembly Building will be lifted and positioned in one piece. The structure of the Assembly Building should be completed in late October 2015. 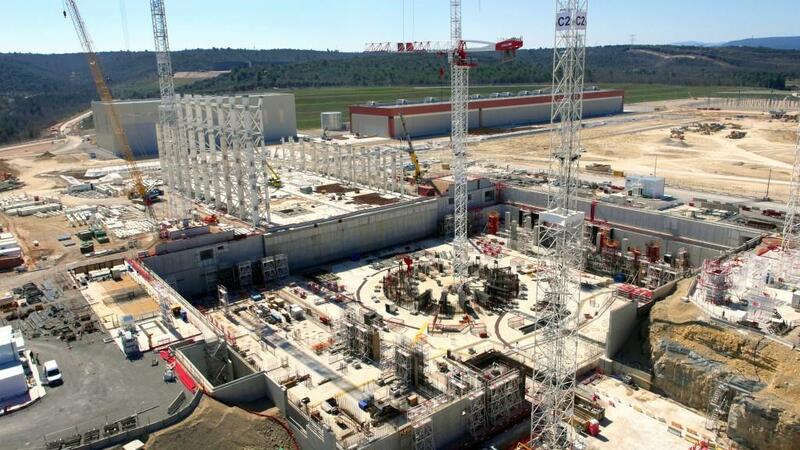 Below the level of the platform, there will be two basement levels to the Tokamak Complex. Work is progressing well on level B2, and should be completed in late June. In the centre, where the ITER Tokamak will stand, preparatory work is underway on the steel reinforcement of the concrete bioshield. 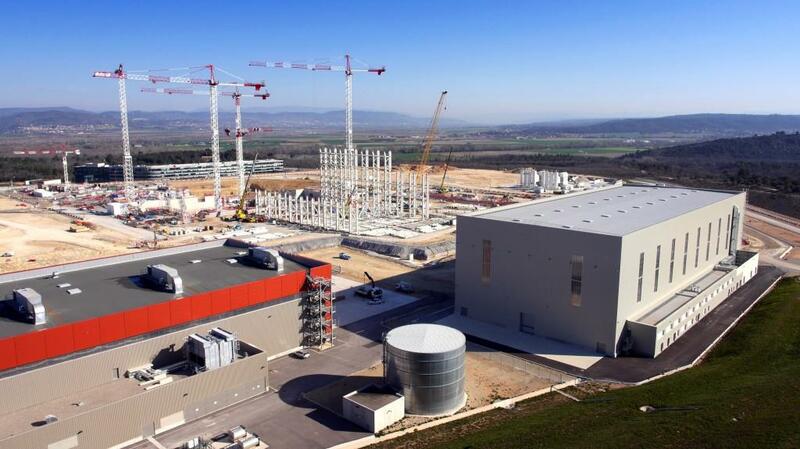 With the addition of a 3,500-square-metre extension in September, the ITER Headquarters can now accommodate 850 people. 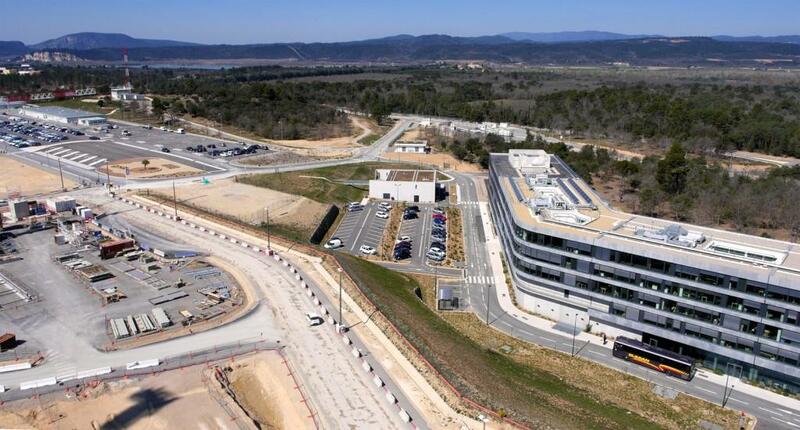 A shuttle service (lower right) runs between Headquarters and two other office buildings, where approximately 500 ITER and European Domestic Agency staff and contractors are housed.